For the most current, scroll down to the bottom of the post. 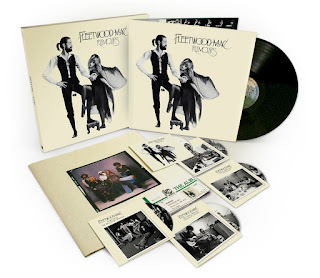 With Fleetwood Mac back together as a five piece all eyes have been focused on what the reunited group would come up with in terms of new music, before they head back out on the road as a reunited group in September. With band personnel sightings (Mick and equipment set up at The Village) and with recording equipment installed at The Village Studios in L.A. and photographed between March 11th and 16th it became obvious they were up to something a little bit more different then your typical rehearsals. Plus they are to far out from the first date of the tour to be rehearsing just yet... 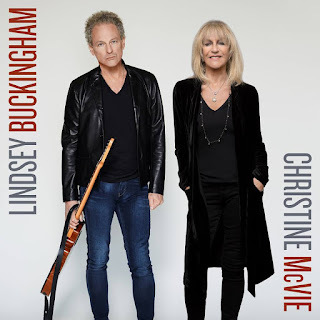 So the only conclusion is new music... With Christine back in the band and with her publicly indicating that she sent Lindsey her newly written and demoed tunes and with Christine IN L.A. during the tour announcement March 27th it only made sense that they were working on new music. What form that would take, whether it be a new album, or another EP, is all up to speculation. This has been the focus since early March... What was the band up to? 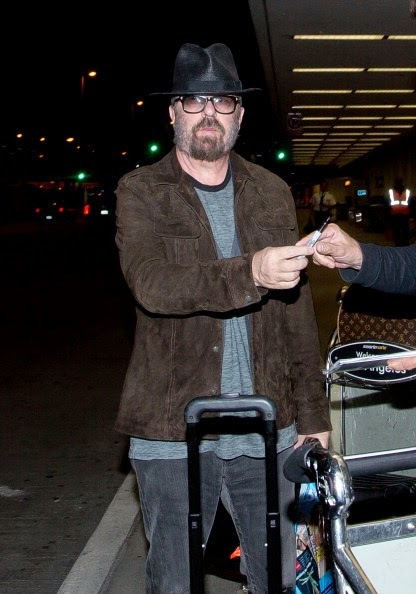 "My dad was flying back from Oklahoma with a stop in Dallas to come home to Nashville and she was on the Nashville flight"
Then the following day on Saturday (4/19) Dave Stewart again posts via Facebook, this time with a photo of the Wiltern Birthday Show from 2011 saying "On way to Nashville, Tennessee this morning with Stevie Nicks and Waddy Wachtel." 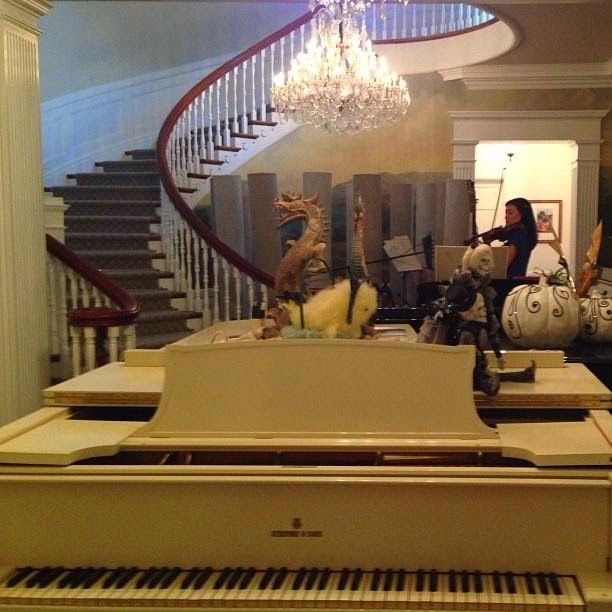 From this it was confirmed that Stevie, Christine, Dave and Waddy were obviously recording in Nashville... But for what? 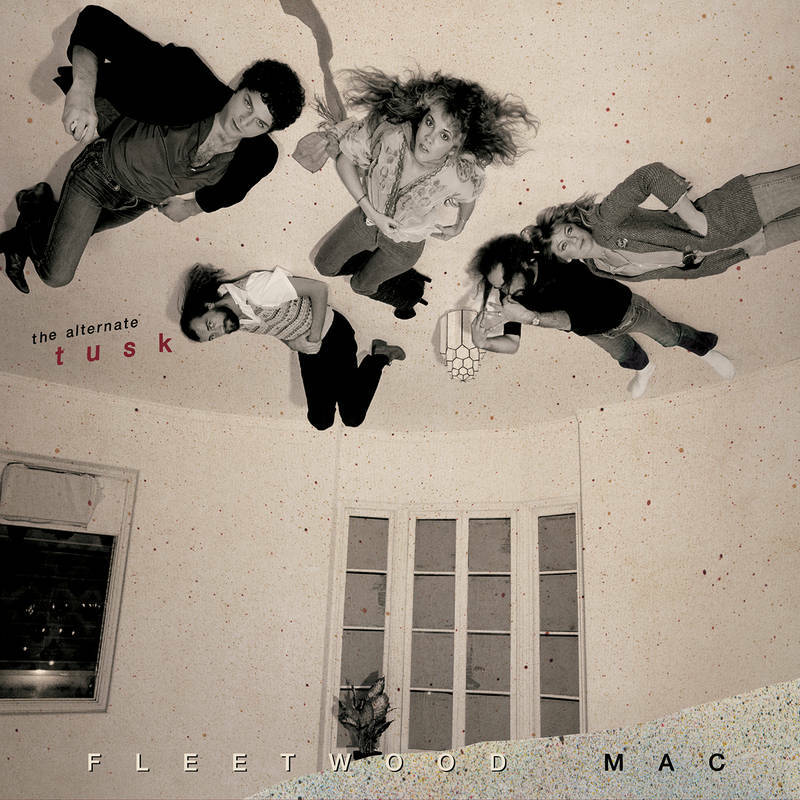 Were they going rogue and working alone on their own little piece of the Fleetwood Mac puzzle... or was this something else? Nobody really knew! "What's going on in Nashville?" "Ah, she's making ah, Stevie's making an album." "I think it's going to be a first for her where's she's doing that Nashville thing where they go in and just all the musicians just play the songs and they get it all done really quickly... we're hoping." "I heard that she is there with Dave, and Christine was seen in Nashville too, are they all doing something together". "Dave's producing it.. Stewart. Ah, and she's using the wrecking crew down there, to my knowledge, where they all just come in and jam out the songs in like two weeks and tell you to go home." "If she doesn't, she's not going to finish her album." 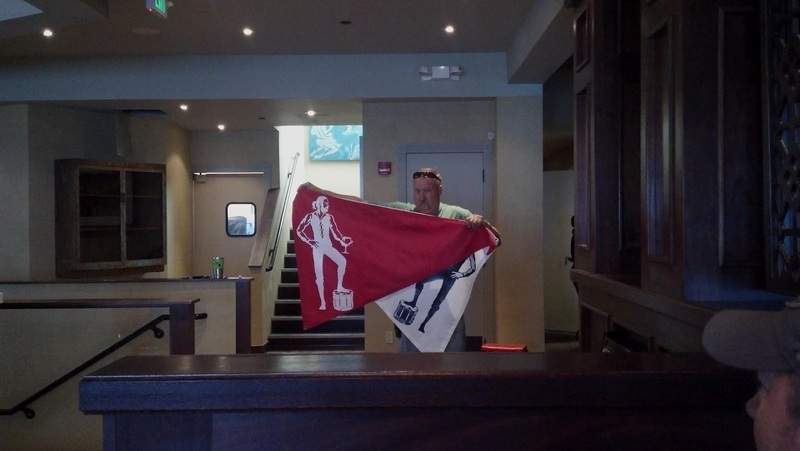 From this, it's all too clear what's going on in Nashville! Stevie IS recording a new album and thankfully Mick wasn't tight lipped about it! 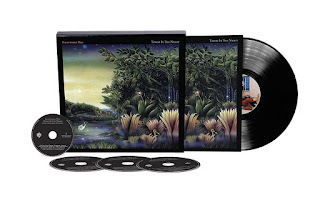 Not only is a new Stevie Nicks solo album completely unexpected what with Fleetwood Mac's reunion tour on the horizon and with the speculation and somewhat proof that Fleetwood Mac did book studio time at The Village to record - it's confusing!... How on earth is this going to come together? 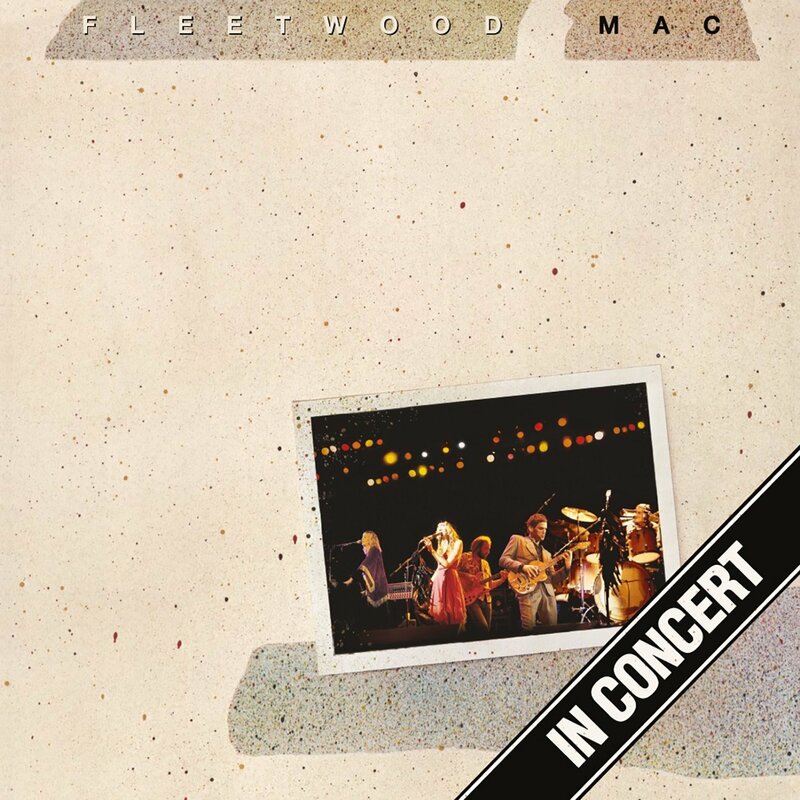 There is such a short window of opportunity to work on Fleetwood Mac music before the tour, given their recording habits. but now the focus seems to have shifted to a new album from Stevie... and what was Christine doing in Nashville? So many unanswered questions! 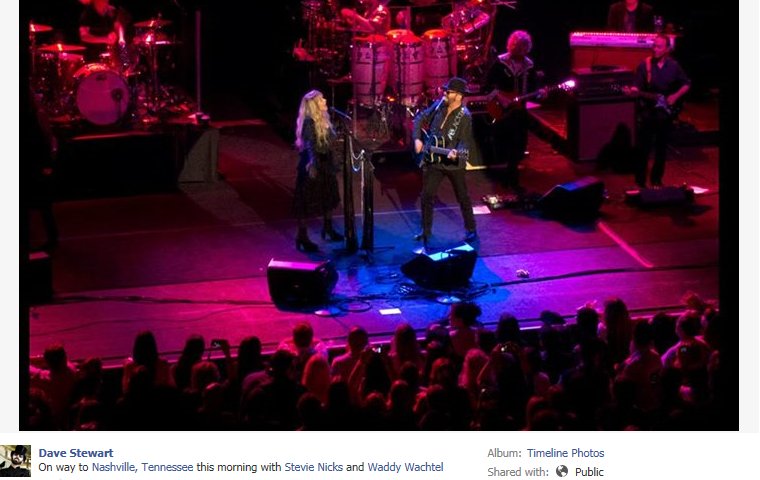 Moving ahead to April 29th... Dave Stewart posts on his Facebook page this caption along with a photo of Stevie. "been here in Nashville since Easter Sunday rocking out with @stevienicks ! Stevie Nicks"
So it would appear from this that Fleetwood Mac still have space at The Village... Doing what? We don't know. So from the little bits and pieces that have revealed themselves, this is all starting to feel very familiar and a little more like 2010 where we followed Dave's every word and move to find out the latest details on what was happening with the then "In Your Dreams" solo album. That was a fun year! And it basically was a year. What's interesting about 2014 is the time frame and the recording surroundings. B) Dave's kind of mastered the art of knocking out these solo projects one after another in just a number of weeks. He uses, or has used the same crew at Blackbird Studios in Nashville on his last three solo albums that came out in 2011 (Blackbird Diaries), 2012 (Ringmaster General) and 2013 (Lucky Numbers). If what Mick indicates is true, that they are planning a 2 week window to record the album... Then they are practically done... And then what? Is Stevie planning on joining Fleetwood Mac at The Village Studios in L.A, or will she be focusing on this untitled solo album. Again, there are a lot of questions surrounding this and I'm sure as the weeks and months roll on right up to when the band is planning to go into rehearsals in August, we'll find out more details. 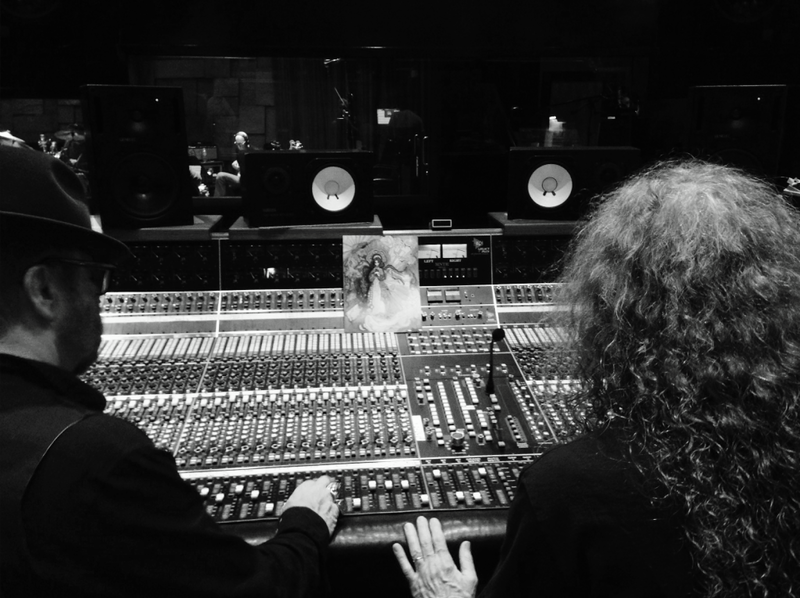 "15 songs down still working , all sounding great , classic Stevie Nicks"
Today, Dave posted a picture of him and producing partner Waddy Watchel at the mixing desk working on Stevie's new album. 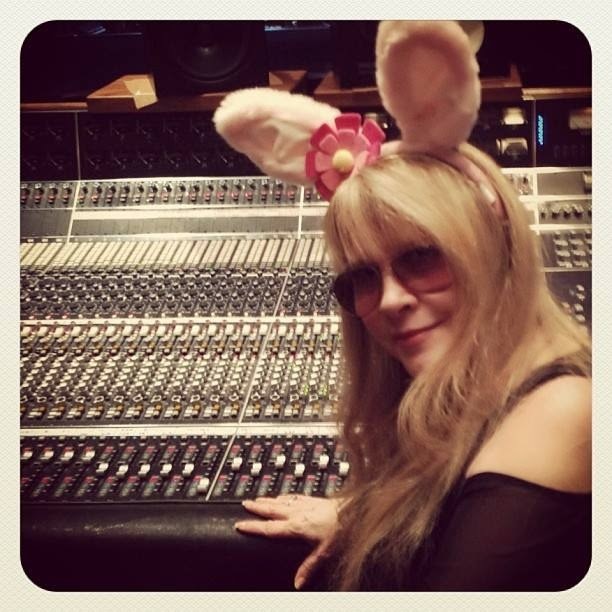 for Stevie Nicks new album"
MAY 6, 2014 Update from Dave today... Ann Marie Calhoun is on this project again adding strings. "We went on to YouTube and we found all the songs that, somehow, were taken from my house or picked up or loaned out or whatever, and we picked up all the songs that like -- there was like 25 songs that the fans really wanted me to record, and we picked 18. And we went to Nashville and we recorded 17 songs. So they're like all starting from like 1969 maybe? I call them my 24-carat gold songs." The following day via Billboard, Liz Rosenberg expanded on what Stevie said to The Associated Press indicating that the new album was tentatively titled "24 Karat Gold: Songs From the Vault". Liz also indicated that the hope was to have the album out in October, 2014. Been awhile since we've heard anything... Dave Stewart posted this today on Facebook... Are we to read between the lines? Not sure if this is a clue to the sound, or just a random photo of words fitting of a post regarding Stevie and the new album. 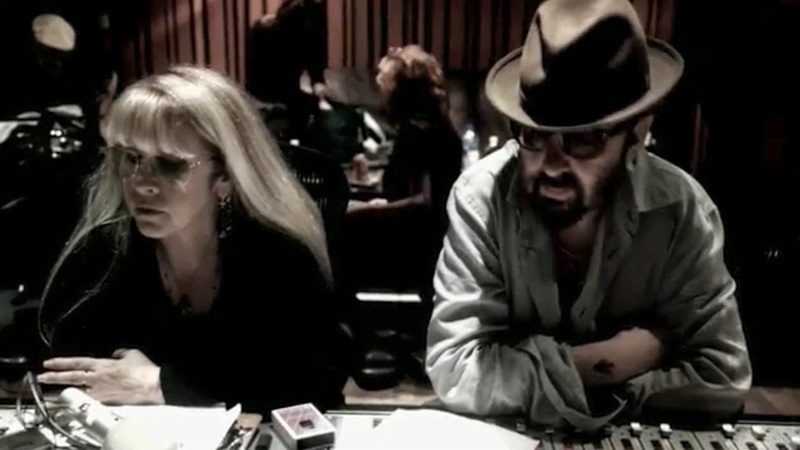 Well, you used to make me shiver"
Davey Johnstone, who is Elton's Musical Director in the studio and in his touring band, The Elton John Band, did some overdubbing work for Stevie at her house for the new album. 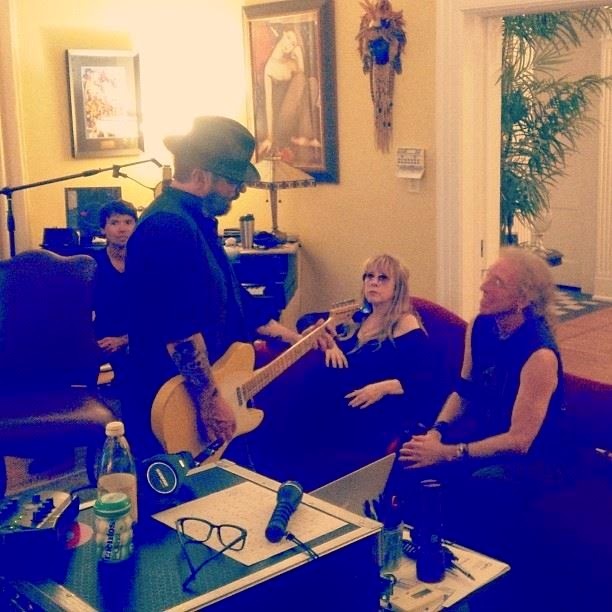 Davey previously worked with Stevie back in 1981 on Bella Donna adding acoustic guitar to many of the tracks on the album. via Dave Stewart Facebook: The equipment says it all... 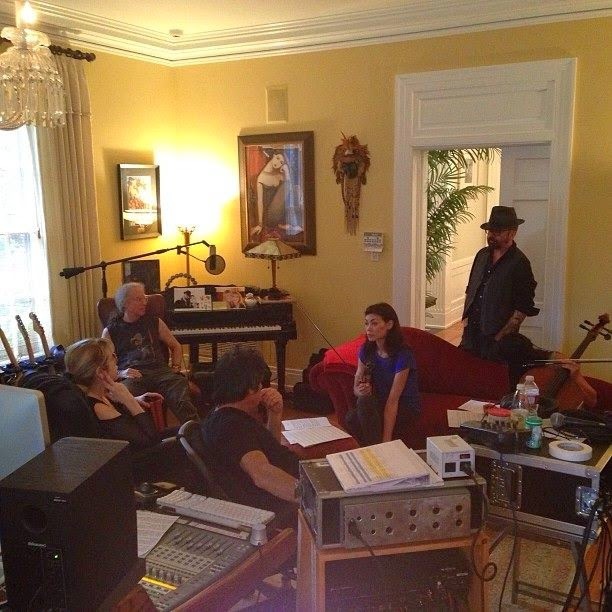 Lot's of work happening at Stevie's house on this new album!... 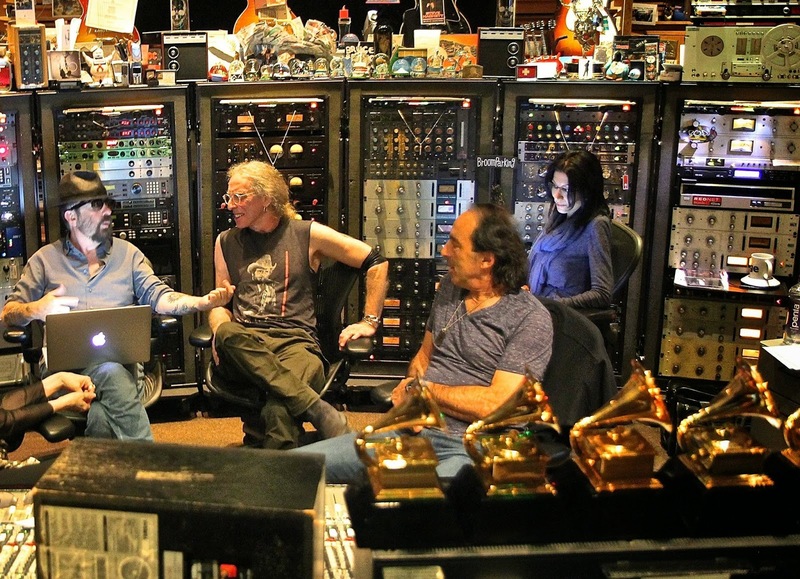 Waddy Wachtel, Ann Marie Calhoun, Dave and Stevie sitting around discussing string arrangements. New week... New post from Dave. 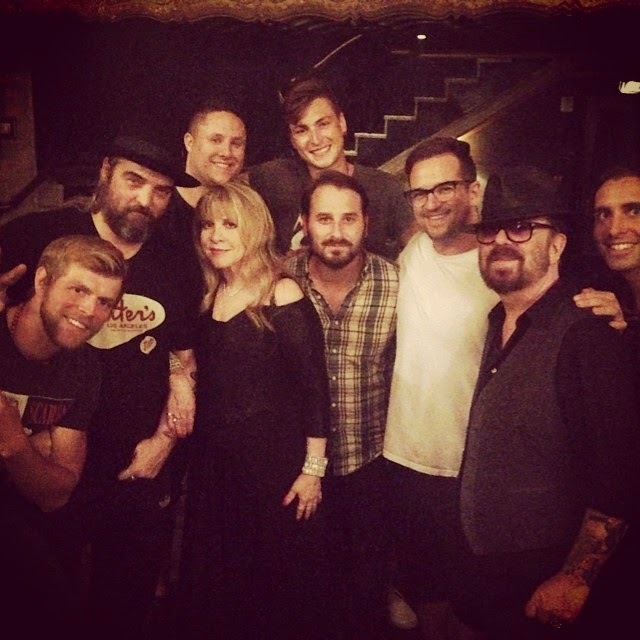 The work will continue today at Dave's studio in Hollywood on Stevie's new album..... and it looks like the new album will find it's way to vinyl when it's released, which is pretty cool! Mixing at Mix LA with it looks like Chris Lord-Alge. New sound bite posted by Dave Stewart tonight. This one had me stumped! It is the song "24 Karat Gold" Stevie is singing from the beginning "You like my 24 karat gold... chains... My Love"
Again.... Mystery to me right off the bat! Name that track! Whatever it is, it sounds heavy and it's bangin'! And Stevie's having a good time! 12 songs mixed... 4 more to go... 16 Tracks!! The only words I can hear are "I would follow you anywhere... " and "How do I care" at the end. Great news!!! Looks like the complete package is done! Looks like the ball is in the labels court now to schedule the release and get the word out. Exciting stuff! "Mixes done , Album mastered , Photos chosen exciting stuff with Stevie Nicks Chris Lord-Alge Waddy Wachtel"
Today (July 12th)... Dave posted this pic with this caption. 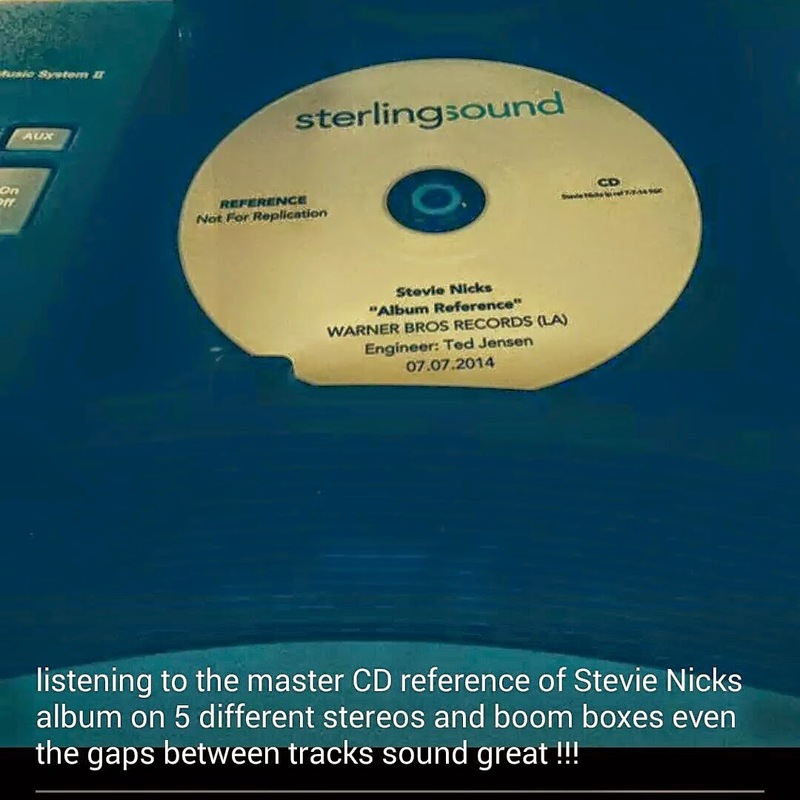 Lucky guy is listening to a referece copy of the new album! This tracklist was confirmed as fake by Dave Stewart. Stevie Nicks announced her new Instagram Account 'Stevienicksofficial' where beginning August 5, 2014 previews of the new album will be posted weekly. PRE ORDERS AVAILABLE BEGINNING August 5th. 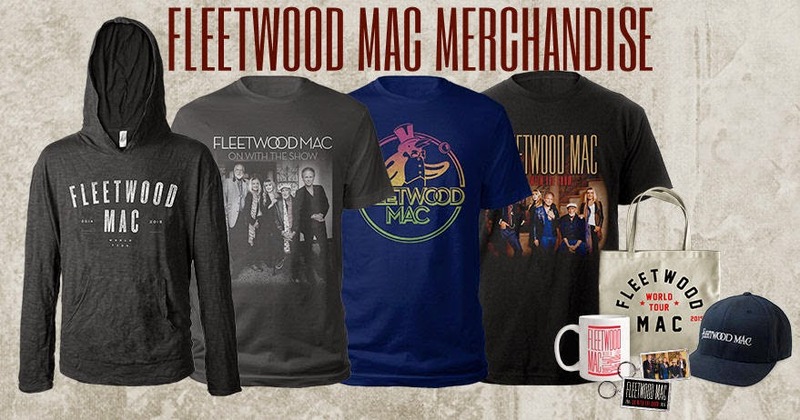 Nicks Scheduled to Join All Fleetwood Mac Bandmates for ‘On With the Show’ Tour Beginning September 30th in Minneapolis. 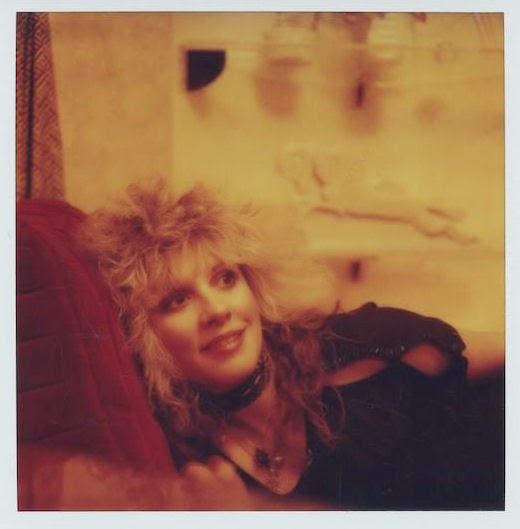 Nicks, a multi-Grammy winning, multi-platinum and gold selling Rock and Roll Hall of Fame inductee also has a new official Instagram account – ‘stevienicksofficial’ where she will be previewing snippets of her new album each week beginning August 5th. 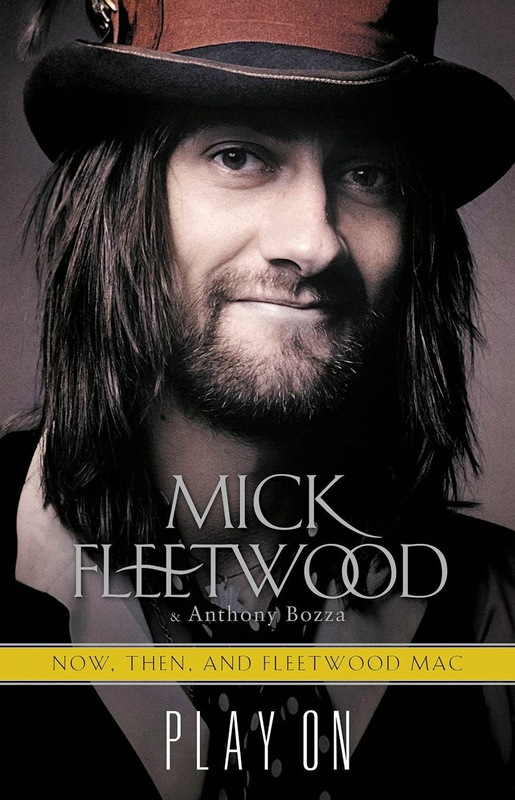 A Rock and Roll Hall of Fame inductee, Nicks is scheduled to embark on the Fleetwood Mac ‘On With the Show’ Tour with recently returned bandmate Christine McVie beginning September 30th in Minneapolis. 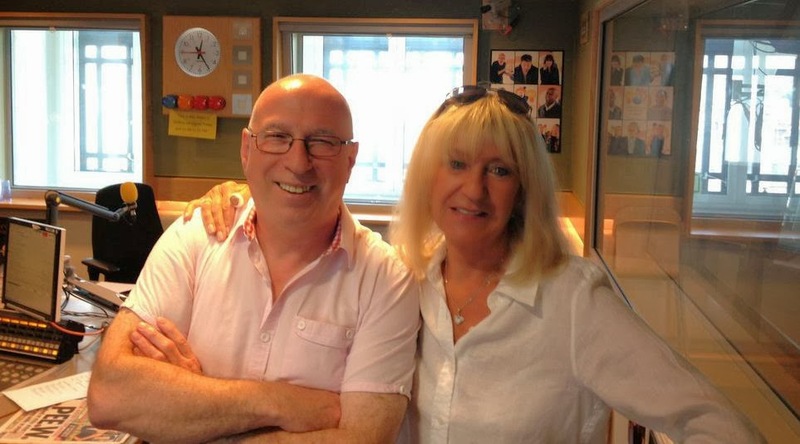 “It’s so exciting to have Christine back after so many years. We can’t wait to get on the road together,” stated Nicks. Well this is GOOD news... Looks like we'll see at least one video for Stevie's new album, and by video I also mean a single! Director Paul Boyd of Dave Stewart Entertainment posted on his facebook page that he has a Stevie Nicks video shoot coming up on Monday... Also today Kaya Stewart posted on her instagram that she was back in Nashville with Stevie Nicks. Do these two situations collide? Are they shooting the video in Nashville? Is Kaya in the video like she was in Moonlight (A Vampire's Dream)? Is Kaya playing/singing on Stevie's new album? So many questions! Or are these two completely separate situations and Stevie will be back in LA for Monday to film! Interesting things happening.... Hopefully the video won't take months to get out there to the people. 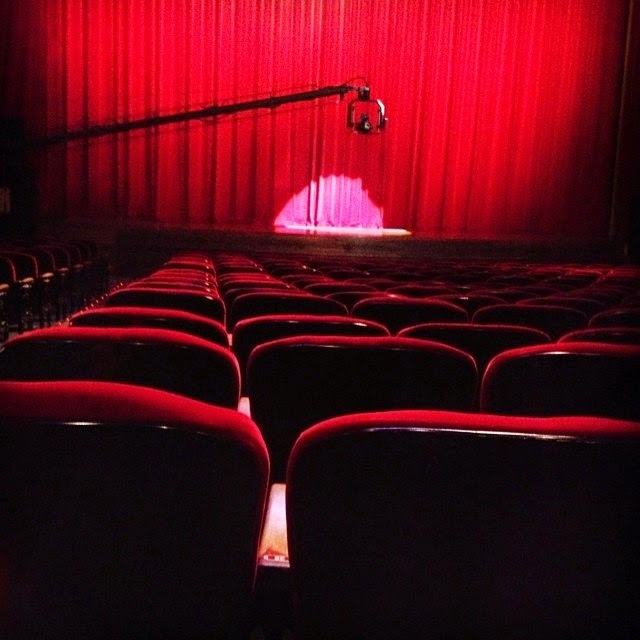 It's unconfirmed which song they filmed the video for. Follow Dave Stewart on Twitter and Facebook... Follow Stevie on Facebook and Twitter as well. And you can follow me on Twitter and Facebook too if you like. What would have been new and exciting would have been a Buckingham Nicks tour as was talked about!!! Never anything but the same old same old from her? From Christine? I don't understand what that means. Christine hasn't produced any music since her 2004 album 'In the Meantime.' Several songs on that album were great, and if you look at Fleetwood Mac's history it's Christine who landed the band most of their radio success. Every songwriter in Fleetwood Mac adds a crucial element to the puzzle. 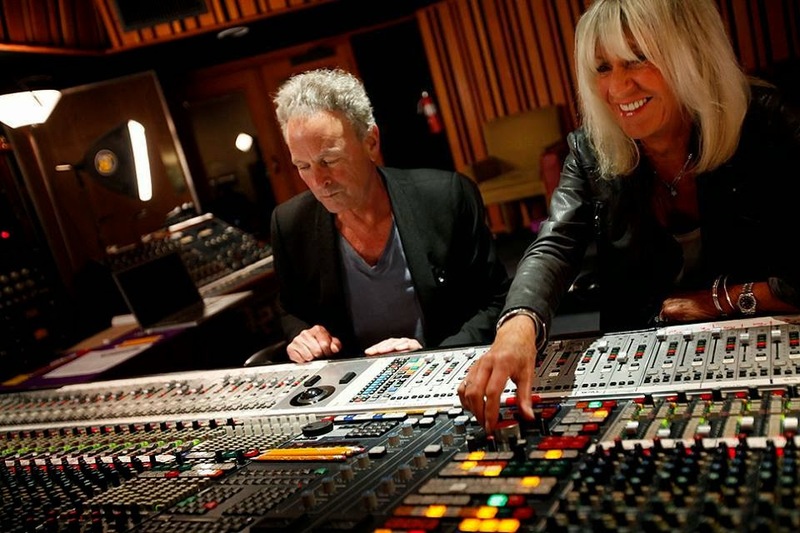 I am just as excited to hear new songs from Christine McVie as I am from Stevie Nicks. 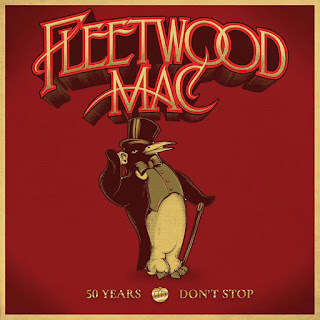 While I am very excited about Stevie's upcoming solo record - I really didn't want to wait several more years and hope that she decided to make one - I am more excited about the completion of Fleetwood Mac and the new music they'll produce. 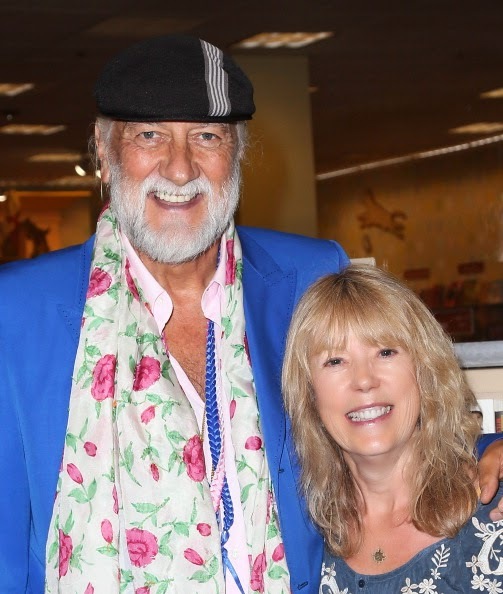 According to the article posted above: "Mick Fleetwood opts for serious flower power as he lands in Los Angeles "He is one of the most successful singer/songwriters in the world, noted for his contribution to Fleetwood Mac's commercial success which first exploded in the 1970s." 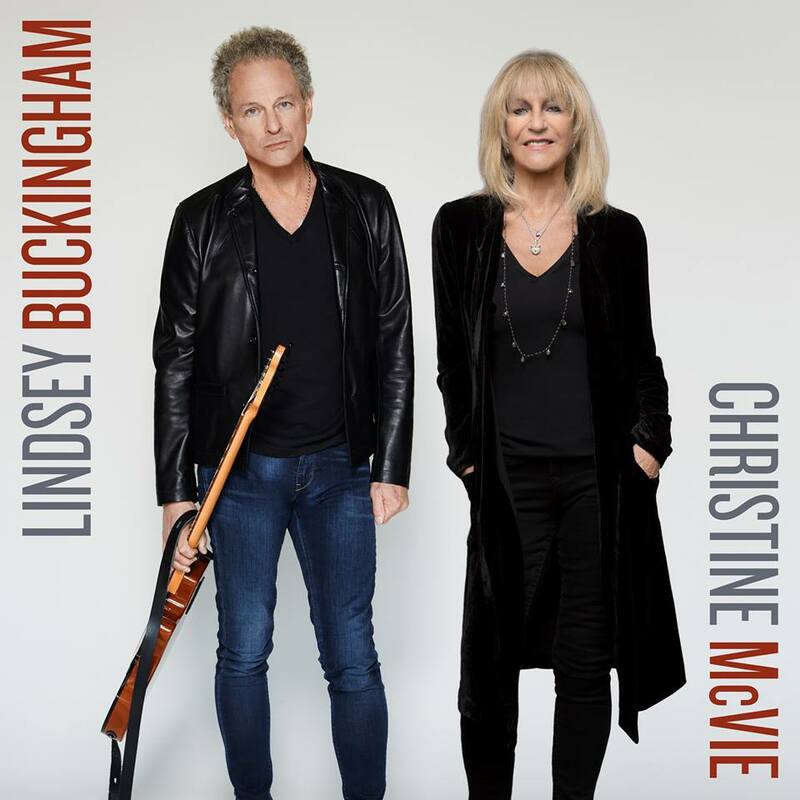 And here we thought it was Lindsey and Chis writing all those hits! 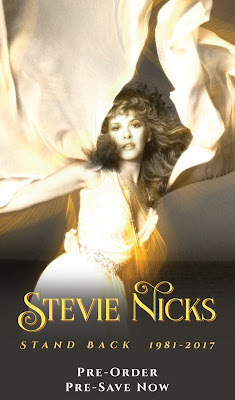 Looking forward to a new solo LP from Stevie Nicks and hoping she tours it. OK...crazy idea and unliked I'm sure...Stevie is working on a new solo album, so is or will, FM...plus picking up with their tour in the Fall. Idea...maybe with Chris back in the band, Stevie is slowly pulling out of FM? ?/ Maybe she'll have little to do with a new FM recording? ''even though the sound of it is something quite ATROCIOUS!!!" NICE plug for the coming cd, Dave! Love the Brits senses of humor. Humour? I'm sure the sound will be 'something quite exquisite'. It's Stevie Nicks. I do wonder why he chose 'that' description, aware of the following line to the song! I'm just beside myself with joy that my 5 fireflies are all back together! I can't wait for all your new projects and to see you all on stage together in the fall especially now that John McVie has given cancer a proper asswhooping. Yay!!! Um......With that much negativity, i am not so sure why you even put "Go Stevie!" on your post. OMFG i can't wait for this album especially on vinyl!!!!!!! 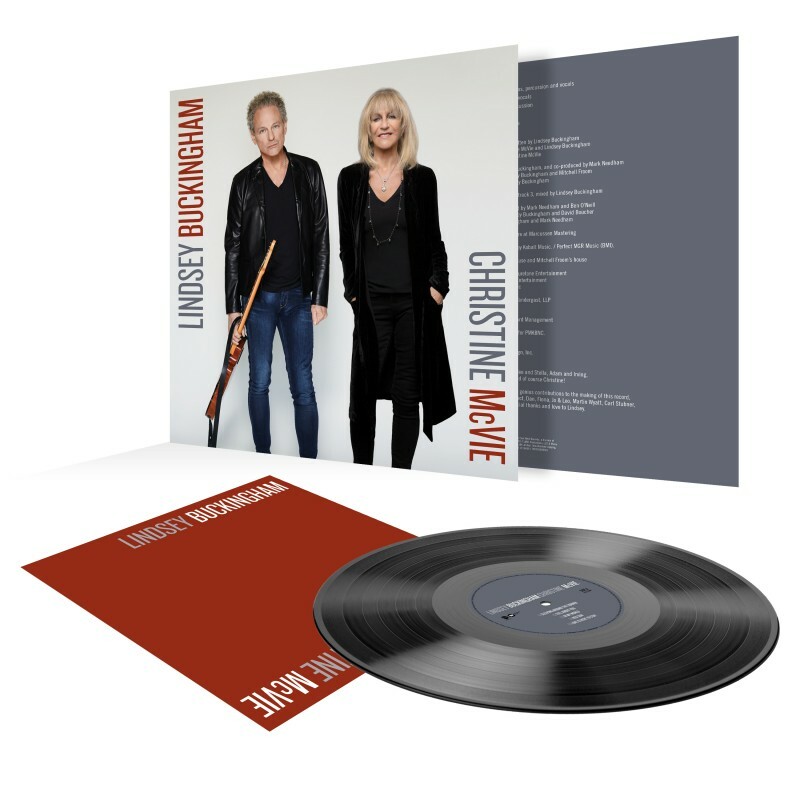 In regard to actual spins at radio, sheet music sales, paid digital downloads, etc., McVie's Songbird has proven much more significant than actual radio singles Think About Me, Love In Store, or Save Me. 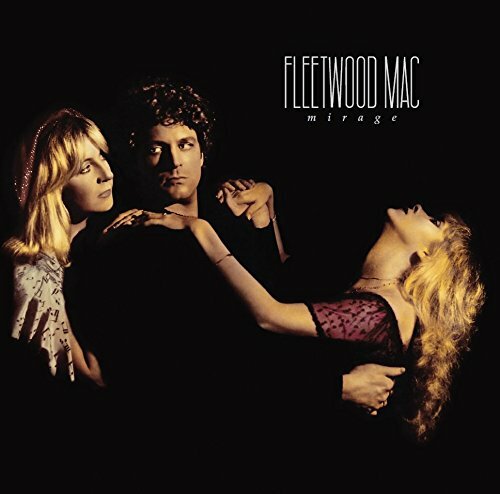 In the same regard, Landslide, Rhiannon, Dreams, Sara and Gypsy have collectively dwarfed McVie's FM and solo efforts combined. In just the past three years, Landslide has sold over 1.7 million paid digital downloads. This is based on measurable data, not misconceptions. McVie's 1984 solo album hasn't even been certified GOLD. And, Hold Me, Little Lies, and many of her other songs had co-writers such as Robbie Patton and Eddy Quintela. 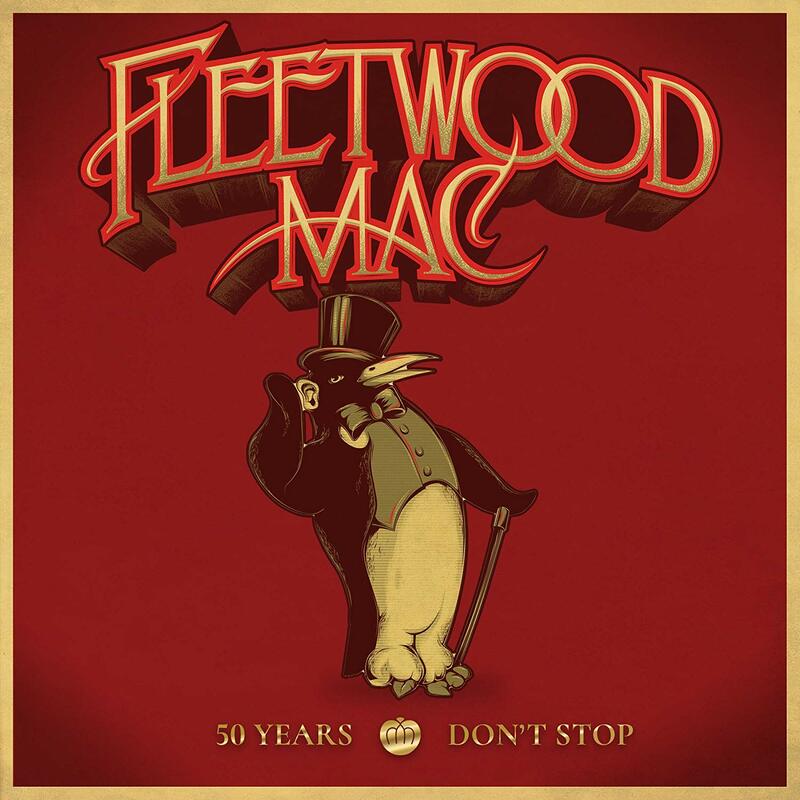 I am so excited for Stevie Nicks and Fleetwood Mac to be putting out new music. I can't wait to get my hands on the cds. I live in south Texas. I wish they were coming to San Antonio. I saw them there a few years ago. I would go again. Too cool!